This study’s aim is to find out student’s perspectives on online and face-to-face problem-based learning approaches. 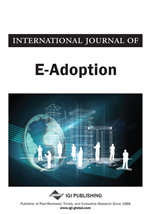 The study was conducted at the Department of Computer Education and Instructional Technologies, Faculty of Education, Hacettepe University. Participants were 42 freshman students attending the department during fall of 2006-2007. These students were put into two groups—the online problem-based learning group and the face-to-face problem-based learning group. The research was conducted on Mathematics-I while implementing the topic of ‘derivation’. The content analysis statistical technique is used, as well as a questionnaire consisting of open-ended questions, which perform as a data collection tool to find out the views of the students in context to the process. It is a cliché to say that people live in the Information Age. So, we can’t say it. We will say that humanity has never been more in love with information than it is now. Information saturates our personal and our professional lives. It not only affects our experience, it pretty much is our experience. Music is information, language is information numbers are information, and pictures are information. Information, just as energy and matter, is even considered to be basic element of the universe itself (Stonier, 1996). With promises of rich information resources readily available, successful use of the World Wide Web within an instructional setting is tied directly to a pedagogical approach that promotes inquiry-based learning (Sammons, 2003; Piccinini & Scollo, 2006). Inquiry-based learning can have many definitions and can be compared directly to other forms of instruction such as problem-based learning (Harrison et al., 2002; Etnon, 2008). Learning from problems is a situation of human existence. In our attempts to solve the many problems we come across every day, learning occurs. In looking for offices in an unfamiliar building, or addresses in an unfamiliar town, we finally find our way. In filling out income tax statements, learning occurs, just as in trying to find out why the car won’t start. Although we may not be consciously aware, these problem situations are all learning experiences that are providing us with information and knowledge that we can apply to future problems (Barrows & Tamblyn, 1980). Researchers have provided a number of definitions regarding problem-based learning. Bubonics (2001) defined problem-based learning as a curricula and learning approach which exposes the students to an ill-structured problem taken from real life and develops the students’ problem solving strategies, knowledge, experiences and skills during the problem-solving process. Cunningham and Corderio (2000) emphasized that the key to problem-based learning is the use of a real-life problem in problem solving process. In addition Duch et al. (2001) stated that problem-based learning is an educational strategy helping the students to construct the questioning and communication skills which they need in their daily lives. Today, problem-based learning is becoming more widespread all around the world. For instance, 80 percent of the medical faculties in the US use problem-based learning approach (Bubonics, 2002, p. 2). Considering the literature review on problem-based learning, it can be concluded that this approach, appearing as a traditional and campus-based one, is also an approach that works online when integrated with a proper and rational technology (McLinden et al., 2006). Computer and Web in particular are having a strong impact on education. These tools must clearly be regarded as versatile aids rather than as a replacement for face to face teaching methods (Pragnell et al., 2006). Although there is a vast amount of research and literature available on face-to-face problem-based learning (Barrows, 1993; Bubonic, 2001; Duch, 1995; Cunningham & Corderio, 2000; Greening, 1998; Major, 1998; Major & Palmer, 2001; Savery & Duffy, 1996; Savin-Baden & Major, 2004), currently some studies have studied PBL when utilized in the online environment (Sendag & Odabasi, 2009; Chu et al., 2009; Tseng et al., 2007).